Adjustments include the lights left on low, the volume turned down, no trailers and the freedom for visitors to move around freely within the cinema screen. Dimensions began the project in August 2011 with just ODEON cinemas – since then the screenings have grown in popularity, welcoming around 300,000 visits to date. Cineworld, Vue and Showcase cinemas have also since joined the partnership. Cineworld cinemas show their autism friendly screening on the first Sunday of every month. Their next showing is Peter Rabbit on Sunday 1st April at 11am. Showcase cinemas show their autism friendly screening on the second Sunday of every month. Their next showing is the Greatest Showman (PG) on Sunday 11th March at 10am. 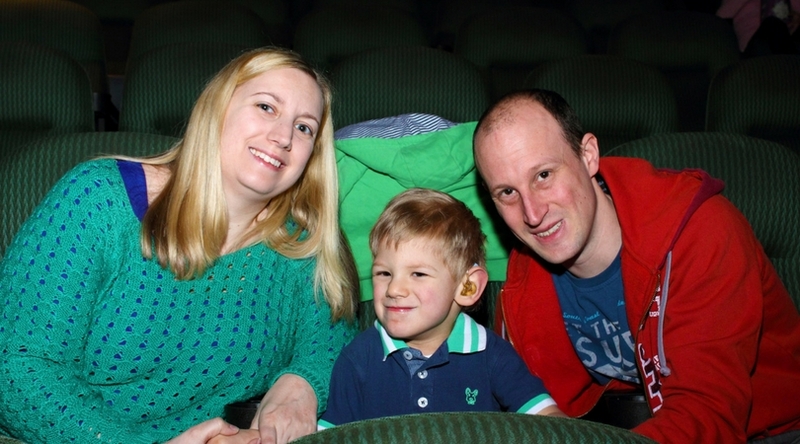 ODEON cinemas show their autism friendly screening on a different Sunday each month. This month they are showing Peter Rabbit on Sunday 18th March at 10.15am. This film contains a controversial scene where Mr. McGregor has berries he is allergic to thrown at him. The film studio has apologised for this scene. PLEASE NOTE ODEON Epsom’s autism friendly screenings begin at 11am. ODEON cinemas also show an additional screening for older audiences one Monday a month. This month’s film for older audiences is Tomb Raider on Monday 19th March at 6pm. Vue cinemas show their autism friendly screening on the last Sunday of every month. Their next showing is Coco on Sunday 25th March at 10.15am. For more information and booking details visit www.dimensions-uk.org.